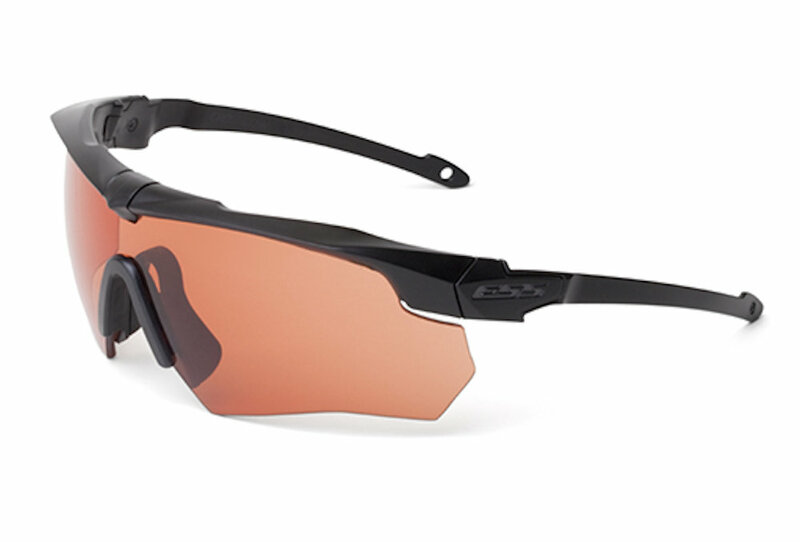 The ESS Crossbow Suppressor™ is the first spectacle frame designed for use with ear cup hearing protection and communications devices. Featuring Z-Bend™ Geometry, the frame's ultra-thin temple arms help keep noise out by minimizing the effect on the padded seal of ear cups. The slim temples eliminate the hot spots and pressure points that commonly occur when normal eyewear is worn under ear cups. 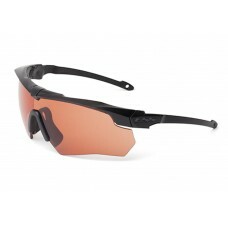 The Suppressor™ frame is compatible with all Crossbow® lenses. These 2.4mm Polycarbonate lenses feature distortion-free ESSOPTICS™ and ClearZone™ FlowCoat technology to combat fogging on the inside and scratches on the outside. The frame's DedBolt™ Lens Lock provides quick lens interchange and rock-solid retention under impact. 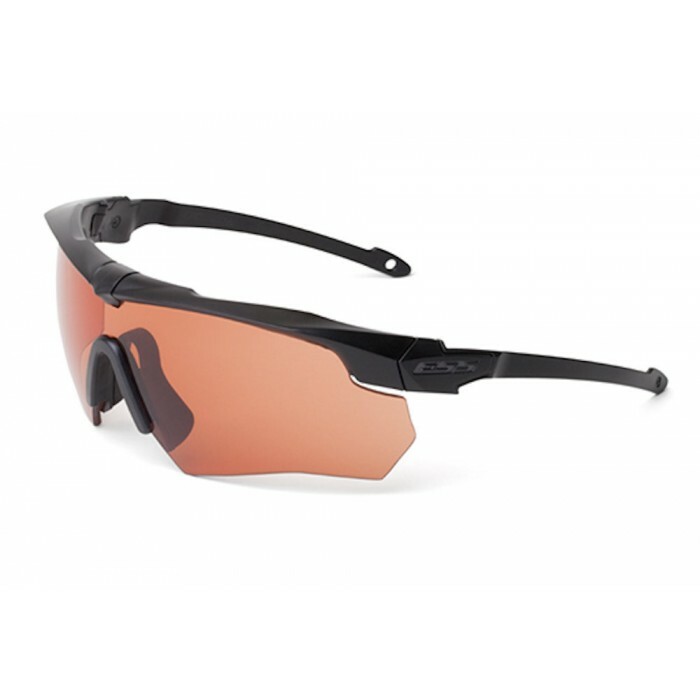 ESS ROLLBAR WITH RAPID LENS EXCHANGE SUNGLASSES Accelerate your eye pro with the Rollbar&tr..
ESS CROWBAR WITH RAPID LENS EXCHANGE SUNGLASSES Meet the lightweight and durable Crowbar inte..
ESS CROSSBOW PHOTOCHROMIC SUNGLASSES The Ballistic Eyeshield™ with Transitions O..